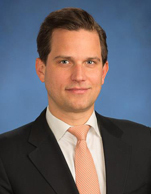 Collin is a senior client portfolio manager on Goldman Sachs Asset Management’s Fundamental Equity team, responsible for real asset and equity income related portfolios, including the Energy and Infrastructure, Real Estate Securities and Income Builder strategies. He is also a member of the Income Builder Investment Committee that seeks to identify ideas across equities and fixed income that are well suited for conservative, income-oriented investors. Previously, from 2001 to 2008, he was a research analyst for the Real Estate Securities team with a focus on the office and industrial sub-sectors. Before 2001, Collin was a senior relationship manager in the Portfolio Advisory Group, where he advised clients on both the asset allocation and implementation levels. He joined Goldman Sachs in the Investment Management Division in 1997 and was named managing director in 2013. Collin earned a bachelor’s degree from Amherst College in 1997.